Arthur Howard brings humor and heart to this sweet tale about a boy and his canine best friend. A little boy knows just about everything about his beloved dog, Scooter. He knows when Scooter is hungry and when he wants to play and when he is dreaming. But what does Scooter dream about? The boy’s friends and family have all different ideas. But Grandpa may have the best idea of all. A young boy speculates about the dream life of his dog, Scooter. The nameless narrator knows just what makes his canine companion tick, and he fills readers in, expounding on Scooter’s likes and dislikes and what the dog’s behavior signifies. 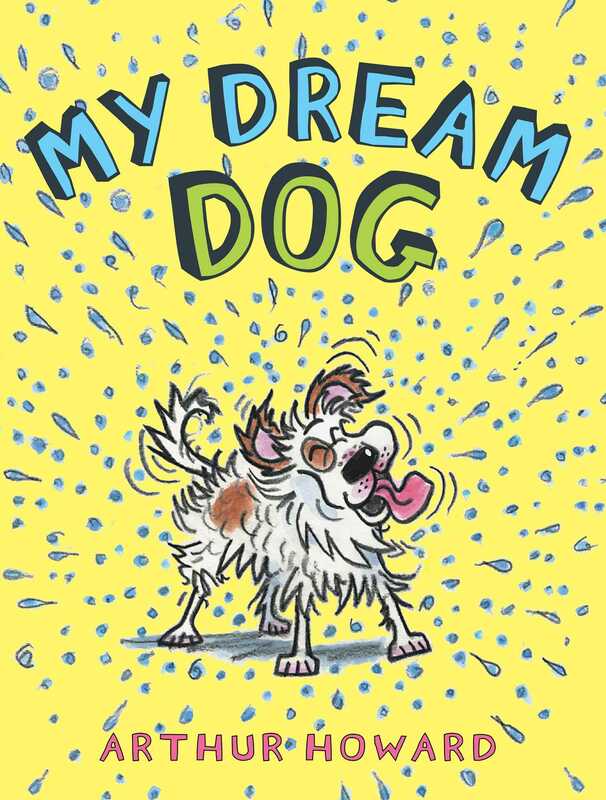 But when it comes to what the pooch dreams about, the boy is stumped. His friends and family weigh in. Maybe Scooter dreams about chasing things, suggests the boy’s big brother. Perhaps he fantasizes about going to school, says the boy’s friend. The narrator’s grandpa offers a predictable yet sweet guess, and the tale ends on this tender moment. The watercolors have a gentle, old-fashioned feel; with their thick lines and soothing, homey scenes, these cartoon images are reminiscent of Howard’s illustrations for Cynthia Rylant’s “Mr. Putter and Tabby” books. The childlike scrawl of the text is particularly endearing. The story is light on action but high on the adorable factor. Lovably scruffy Scooter, his tongue lolling, his head cocked to one side, is irresistible; he and his boy are a winsome pair. The simple text, presented in a large font against white space, may appeal to beginning readers. VERDICT A delightful choice for pet-themed storytimes, as well as for animal lovers making their first forays into independent reading. A boy shows off everything he knows about his dog, Scooter, before contemplating what the animal thinks about as he dreams. Working in watercolor, Howard (the Mr. Putter & Tabby series) uses rough, smudgy strokes of black to outline his characters; in the case of Scooter, the effect suggests a dog who’s almost always on the move. “I know what makes him wag his tail,” says the boy as arrows point to a hamburger (“people food”) and a pair of canine friends, “his pals Betty and Bruno.” It’s clear that when Scooter is awake, the brown-and-white pup has two things on the mind: food and play. But there’s no consensus regarding the dog’s dreams. The child’s father guesses that Scooter dreams about car rides, his brother proposes that Scooter “dreams of chasing things” (said things include a letter carrier, turtle, and no fewer than three squirrels), and Grandpa has the best idea of all: “Maybe Scooter dreams about you.” It’s a light, breezy story, but the joy and love the boy feels for his scruffy pet come through loud and clear. Up to age 8. A boy wonders what his dog dreams about.A little white boy introduces readers to his dog, Scooter, whom the boy knows well. He knows what make Scooter's tail wag: treats, people food, squeaky toys, and his dog friends—all labeled on one double-page spread The things that make Scooter growl are similarly presented. The little boy continues chronicling what he knows about Scooter: words Scooter knows, when Scooter's thirsty, and when he's scared, etc., but the one thing the little boy doesn't know is what Scooter dreams about....Perhaps best known for his illustrations of the Mr. Putter and Tabby and Gooseberry Park series, Howard's human characters' stylized faces make the dogs stand out as both expressive and delightful, while the hand-lettered text and child narration complement each other.